There are a lot of assumptions made about people who are down and out in Hong Kong. We think it has to do with someone's financial situation, but our perception of someone being "poor" should change, and we should have more empathy for them. 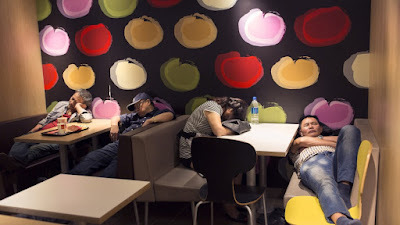 Some of these people hang out in McDonald's for long stretches of time -- some even falling asleep there. 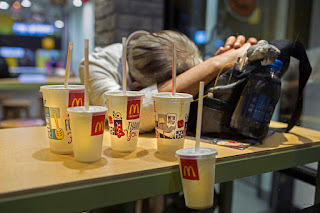 They are called McRefugees or McSleepers, and there was worldwide attention in 2015 when an elderly woman was found dead 24 hours after she walked into the McDonald's in Kowloon Bay. Meanwhile a survey back in 2013 found 57 street sleepers in these fast-food restaurants. But this June another survey was conducted which found a whopping 334 street sleepers; of the 110 branches that are open 24 hours, 84 of them had seen overnight sleepers. Most of them were in McDonald's branches in Tsuen Wan. Junior Chamber International, which conducted the survey, was able to interview 53 McRefugees aged between 19 and 79, and found 57 percent of them had a job, and 71 percent of them had housing, either rented or owned. Some of them lived in sub-divided flats and because the small space had no air flow, they felt it was better to be in a place that was air conditioned. They also wanted to minimize their electricity spending, as air conditioning can be expensive. Others had jobs but didn't get along with their families, and would rather not go home, and instead would rather hang out and eat at McDonald's. 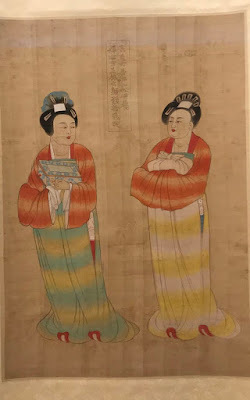 There are also seniors whose husbands or wives had passed and they didn't want to be by themselves at home so they went to McDonald's to be around people. "Family is the basic unit in a society," says chamber publication commission chairwoman Jennifer Hung Sin-yu. "Even one person who has a home but cannot return is too many. This phenomenon is worth our attention." What is being done about these people? It is sad to find Hong Kong as a community is not there for these people, whether it's offering companionship to lonely people or giving them a leg up to find a better job. The Hong Kong government will be on the hook for this latest report, as the city is so filthy rich and yet it doesn't have enough compassion for mostly underprivileged people. But also the onus is on these people to find better solutions, such as a network of friends to talk to or to find some space that is welcoming -- hanging out in a McDonald's all day is hardly fun; it must be tiring too. Everyone needs to be more open to reaching out and giving a helping hand to someone, or saying hello or even smiling to them. These are small ways we can make Hong Kong more friendly to everyone.